Combine forks, knives, and bowls or pans to create adorable clocks. A metal rake is perfect for storing wine glasses. Coffee mugs make creative and unique lighting. 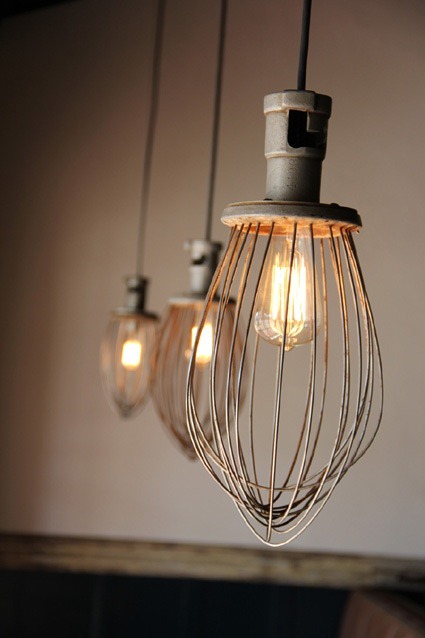 Get that industrial light look by using the wires from a metal whisk. Make holes in your teapot and create a fabulous light. If you inherit a bunch of silverware, or just seem to collect it, consider making a chandelier out of them! Turn a kitchen chair into a decorative planter holder.